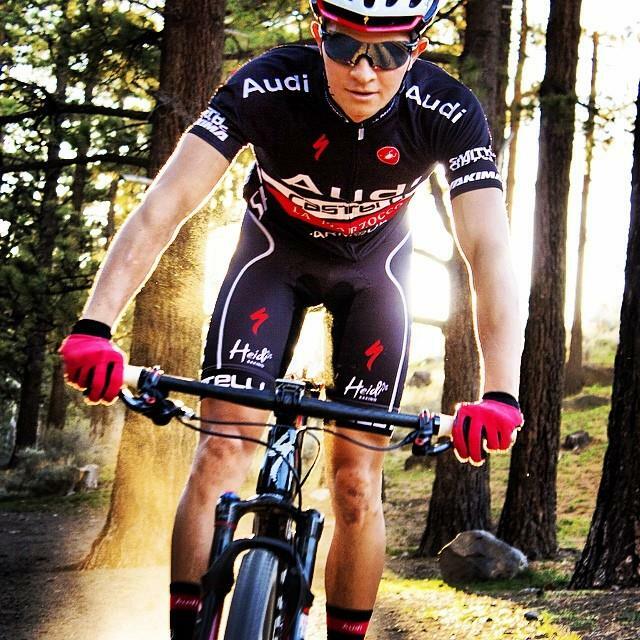 Trevor DeRuisé is a professional XC mountain bike racer for Audi/Specialized residing in the Reno-Tahoe area. 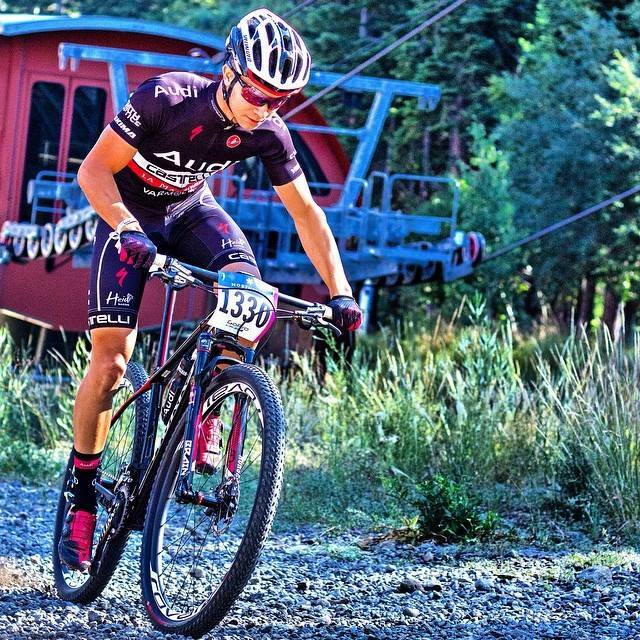 A member of the USA National Team for the last two years, Trevor aspires to be a top mountain bike racer in North America. 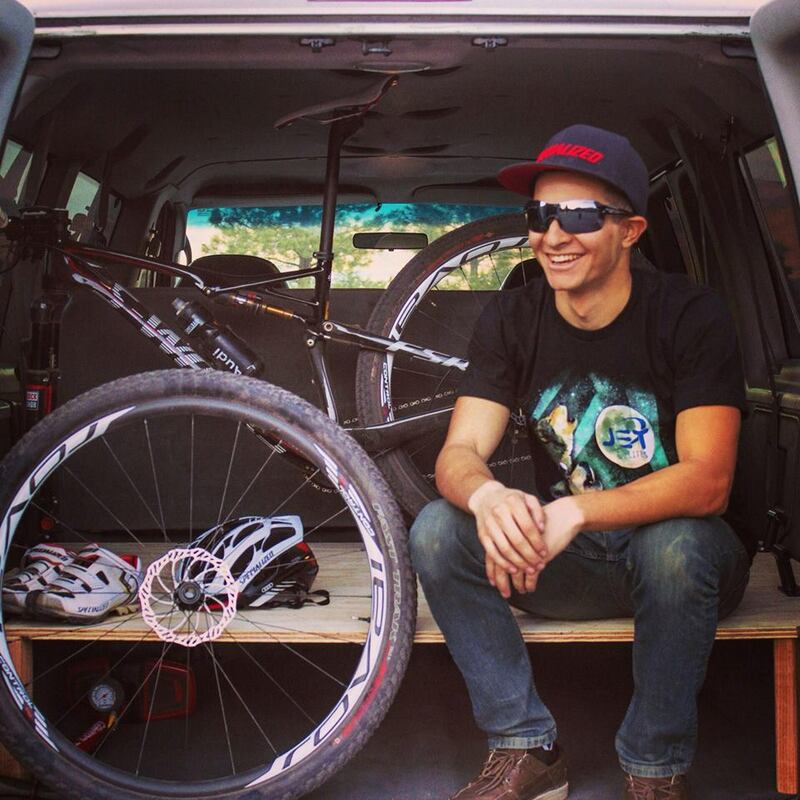 My goal is to become the top American cross-country mountain bike racer and to inspire others to follow their dreams. 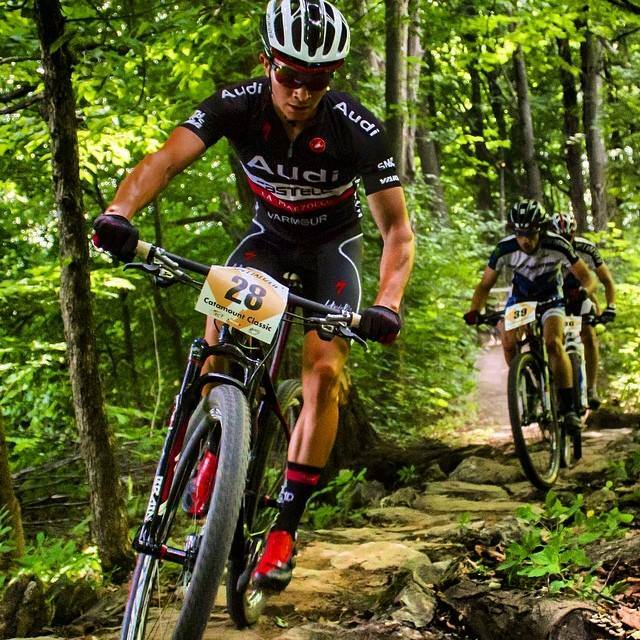 Being selected to race for Team USA at the 2013 and 2014 North American World Cups. The biggest challenge is the training and hard work that competing at the top level requires. Being on the bike every day and digging deep in the gym can be tough on some days, but it has to be done. When all of the hard work pays off and I can just mesh with the trail and pull away from the pack, it’s all worth it. 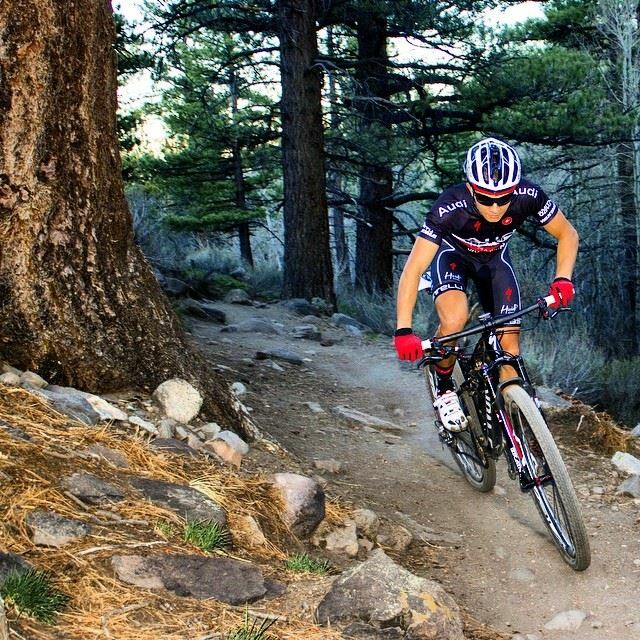 Either in the gym, at the TrainerRoad office, or on all of our local Reno-Tahoe trails. As soon as the snow falls I’m in California until Spring. The biggest thing is putting in the miles on the bike. I choose to do the majority of my riding on the dirt, rather than the road, which keeps my descending skills sharp year-round. As long as I’ve prepared correctly, I’m not nervous. My girlfriend, Sierra Davies. She’s at every single one of my races, no matter how far away. 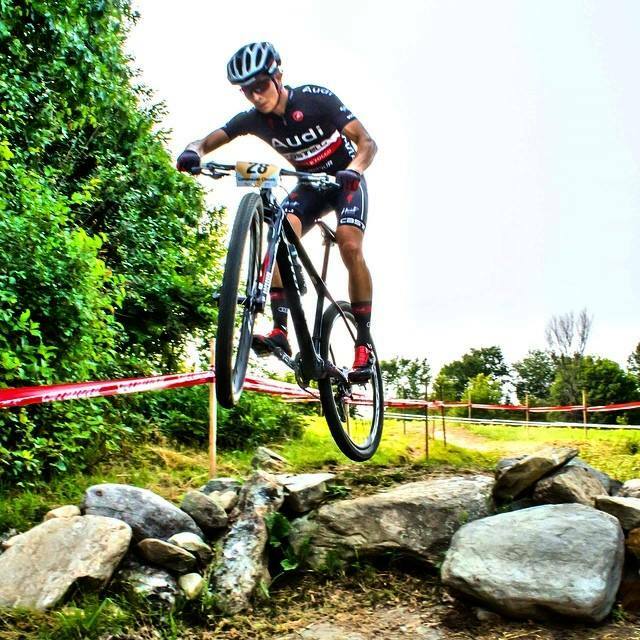 Right now I am focusing on the Pro XCT series in the United States, in preparation for the World Cups in 2016. 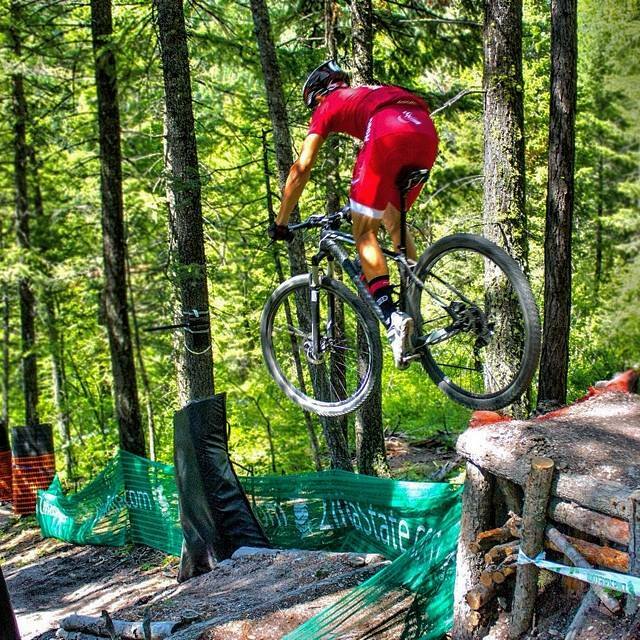 Beyond that, I want to establish myself as a contender at all high caliber UCI events. Understand your goals within the sport and start formulating a plan to reach them. Finding help from a coach or local pro is good, but the best thing you can do is have an unwavering work ethic.